Margart F. - Walter F.
Eugene Brannagan, died Dec. 14, 1888 at the age of 34 years, 6 months, 7 days. Phillip Burns, died Nov. 18, 1875 at age of 33. A native of Dublin, Ireland. Henry Carr, died Oct. 12, 1870, age 47 yrs., 6 ms.
William Collins, died Aug. 27, 1863 at age 58. 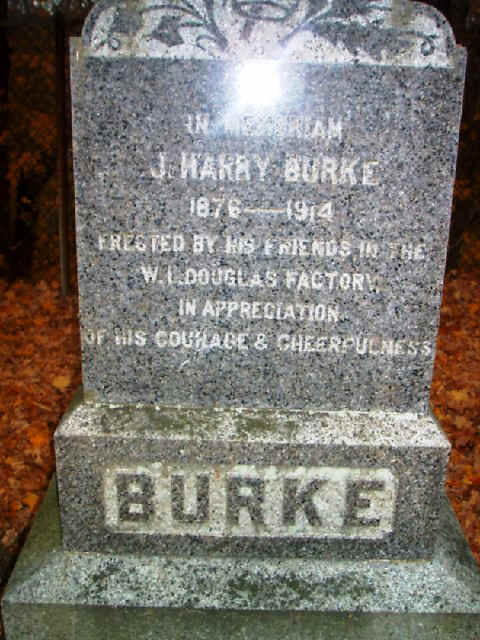 Stone erected by daughter, Mary. Mary Conway died June 29, 1899 at age 67. Mary Ellen Crowley, died Jan. 15, 1864 at the age of 13. Daughter of Timothy and Julia Crowley, Born in Middletown, Co. Cork, Ireland. Wife Julia Crowley, died Feb. 18, 1888 at the age of 61. Thomas Dwyer, died July 27, 1860 at age 27. A native of Co. Cork, Ireland. Julia Dwyer, died Aug. 21, 1859 at the age 8 mo. 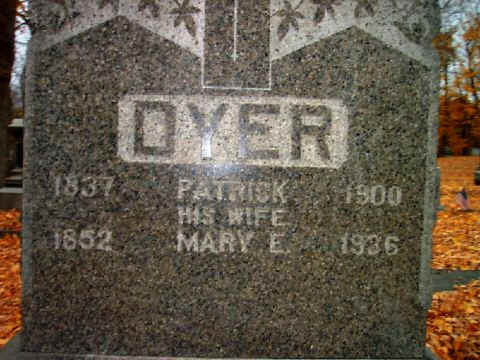 Daughter of Thomas and Mary Dwyer. Richard Feeney, died Nov. 5, 1883 at the age of 33. 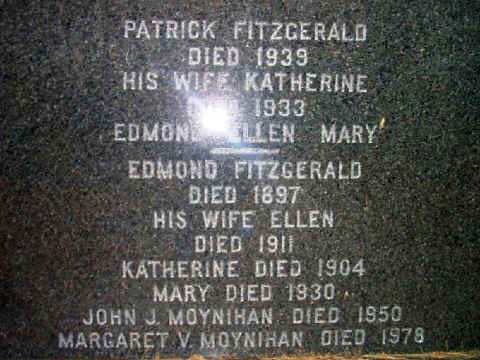 Patrick died March 26, 1925, age 87, "Father"
Nellie Goodwin died July 13, 1950 at age 76, "Sister"
John Greenen, died May 17, 1857 at age 70. A native of the Parish of Drung, Co. Cavan. Wife Julia J. Hope, 1829-1886. T. Frank Lanihan, July 17, 1853-July 25, 1883. James Lynch, PRIVT. Co.H, 2nd MASS INFT. Timothy McCarthy, died May 30, 1868 at age 46. Charles McCarthy, died June 16, 1862 at age 2. Son of Timothy and Julia McCarthy. wife Johanna Murphy, died Feb. 27, 1863 at age 30. A native of Co. Cork , Ireland. Michael Murphy, 1835-1910, brother of Daniel Murphy. Lucy G. ( Monahan) Murphy 1870-1920. Maurice Murphy, died Mar. 17, 1868 at age 10. 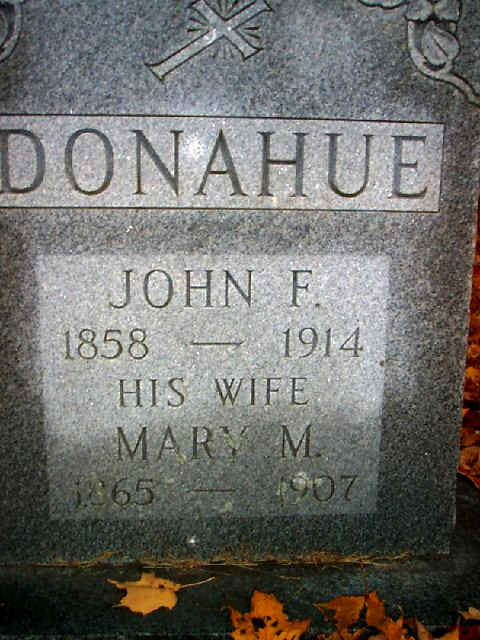 Son of John and Mary Murphy. Maurice Murphy, died Dec. 4, 1869 at age 71. Maurice Murphy, Mar. 19, 1861- Mar. 23, 1898. Arthur Oakley, Mar. 16, 1799-Aug. 31 1868. A native of Ballyporeen, Co. Tipperary, Ireland. Hugh O'Donnell 1841-1900 late of Co. H, 2nd Reg. M.V.M. 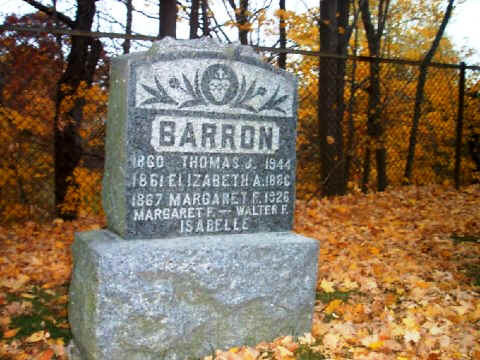 wife Abigail ( Barry) O'Keefe, died 1905 at the age of 81. John Owens, Died May 19, 1879 at the age of 47 years, 8 mo. A native of the Parish of Lagan, Co. Longford, Ireland. Rt. Rev. Msgr. Michael J. Owens, 1865-1950. Daniel Reardon, died Mar. 14, 1892 at age 67. A native of Clondrohid, Co. Cork, Ireland. Michael Reardon, Co. A, BATTN. MASS H.A. Catherine Reiordon, died May 22, 1870 at age 75. A native of Clondrohid, Co. Cork, Ireland. Michael Rowe, died Oct. 10, 1872 at the age of 62. A native of Co. Westmeath, Ireland. Catherine Sheehan, died Mar. 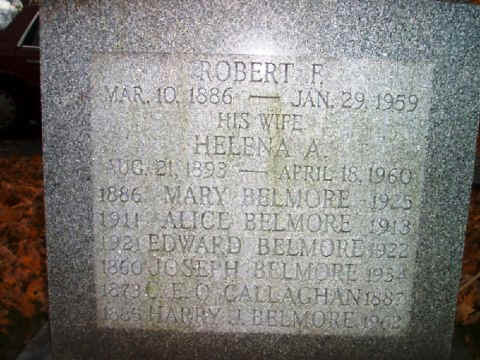 8, 1883 at the age of 70.
son James Henry Sullivan, June 4, 1871- July 26, 1872.
wife Margaret Sullivan, died Dec. 5, 1903 at the age of 69.
wife Honora Talbot, died Apr. 11, 1875 at the age of 33. A native of Carrigtohill, Co. Cork, Ireland. wife Margaret Tobin, died June 20, 1878 at the age of 50. Both natives of Co. Cork, Ireland. Katie Welch, died Oct. 25, 1880 at age 18. Daughter of John and Ann Welch. 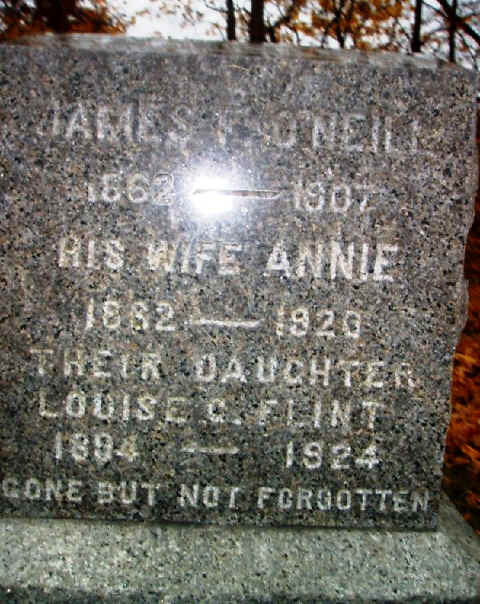 Ann Welch, died Dec. 26, 1882 at age of 48. Wife of John Welsh. A native of Drum, Co. Mayo, Ireland. Ellen died Oct. 8, 1863 age 3 yrs. 6 mo. James died Aug. 16, 1873 age 14 yrs. 6 ms.
Annie M. died Aug. 16, 1877 age 13 yrs. 6 ms.
Margaret died Aug. 18, 1863 age 11yrs. 11 ms.
David died Dec. 25, 1875 age 13 yrs. 11 ms.
John J. died Aug 15, 1880 age 20 yrs. 7 ms.